Cult graphic novelist Dylan Meconis offers a rich reimagining of history in this hybrid novel loosely based on the exile of Queen Elizabeth I by her sister, Queen Mary. When her sister seizes the throne, Queen Eleanor of Albion is banished to a tiny island off the coast of her kingdom, where the nuns of the convent spend their days peacefully praying, sewing, and gardening. But the island is also home to Margaret, a mysterious young orphan girl whose life is upturned when the cold, regal stranger arrives. As Margaret grows closer to Eleanor, she grapples with the revelation of the island’s sinister true purpose as well as the truth of her own past. When Eleanor’s life is threatened, Margaret is faced with a perilous choice between helping Eleanor and protecting herself. I’ve been writing and illustrating my own stories since the first grade, and I’ve been making comic books since middle school (no, really! Seventh grade was a tough year for me socially, so I had a lot of time to draw). I started my first book-length comic (graphic novel) in high school. Unlike a lot of people who become professional artists and authors, I didn’t go to art school or a creative writing program in college. Instead, I mostly studied history, literature, philosophy, and French in the College of Letters at Wesleyan University. This means I have a brain full of weird facts, old books, strange art, and the extremely useful ability to read The Tales of Canterbury in the original Middle English. Except for the Middle English bit, it’s all come in very handy for writing and drawing historical fiction and fantasy. I first started to get paid for making comics when I was still in college, when my first graphic novel was published online. After college, I worked as a graphic designer and visual communications consultant (which means “person who helps teach adults complicated stuff in cool new ways using pictures”). I’ve worked with Fortune 500 companies, global charities, technology companies, libraries, and a lot of other interesting organizations. I’ve made illustrations, animations, information graphics and cool presentations, explaining everything from how microchips work to the ways that clean drinking water can help communities in the third world. For the last ten years, though, I mostly work as a writer, comic book creator and illustrator! Sometimes I make books totally by myself, and sometimes I get to team up with other writers or artists. It can be lots of fun, but it can also be very hard work. Luckily, I never get tired of making new stories. 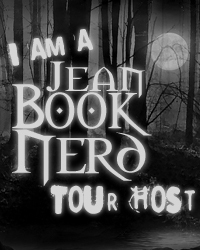 You Must be a JBN Tour Host before you can fill out the Form. Click HERE and Be Host NOW! 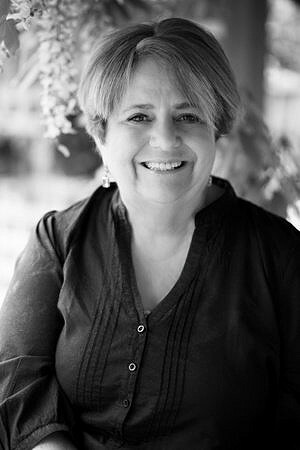 Laura Kalpakian has won a National Endowment for the Arts Fellowship, a Pushcart Prize, the Pacific Northwest Booksellers’ Award, the Anahid Award for an American writer of Armenian descent, the PEN West Award, and the Stand International Short Fiction Competition. She has had residencies at the Virginia Center for the Creative Arts, the Montalvo Center for the Arts, and Hawthornden Castle in Scotland. She is the author of multiple novels and over a hundred stories published in collections, anthologies, literary journals and magazines in the U.S. and the U.K. A native of California, Laura lives in the Pacific Northwest. Diet and exercise, regular hours, ha ha ha. Coffee and alcohol, of course. Can you tell us when you started THE GREAT PRETENDERS, how that came about? I had published a novel in the UK called Three Strange Angels set in Britain in the 1950's with a minor character, a Hollywood brat who became an agent. I began to think about all the perils that would have surrounded her during the Blacklist Era. As I began reading, I saw that time, 1947–1960, as a unique historical crossroads: the blacklist, the beginning of the civil rights movement, and the advent of television. I created characters who responded dramatically to all these challenges. I grew up in Southern California so I well remember the light, the atmosphere, and of course, the beach. I also infused the novel with my own love of movies and music. What was one of the most surprising things you learned in creating Roxanne and Terrence? In researching a place for Roxanne’s childhood home I read that Charlie Chaplin and Fred Astaire were neighbors on Summit Drive. Wouldn’t it be wonderful to have them for neighbors! So that’s where I put her home. In researching Terrence’s past I was dazzled to read about Jefferson High School in South Central LA. Dr. Samuel Browne’s music program there turned out more great jazz musicians than any other school in the history of the world. Terrence might have been a student with one of the founders of The Platters, the group that made “The Great Pretender” a 1954 hit. The theatre at that high school is named after Dr. Browne. Anyone who wants to understand the Blacklist Era—how and why it started, who was ruined, how deep were the incursions into personal liberties, and how long-lasting the effect on the film industry—should start with Victor Navasky’s Pulitzer Prize winning classic, Naming Names. Depends on where you look. I advise against the vegetable drawer. The Simpsons, that was our favorite sitcom when my kids were growing up. In the 4th grade I told my teacher I was going to write books, and asked if he would please draw the pictures. He said yes. I told my mother I was going to write books and would she please type them for me. She said yes. It was a long, jagged, roundabout road from there. #3 Hollywood is like a huge hothouse, steamy and enclosed. Everyone’s lives and loves, their fortunes, their so-called sacred honor, their sins, their failings, their bad judgments, their bad breath, their bad debts are like the steam that rises. To live and work here is to know that fame, money, reputation, friendship, even love and marriage are conditional, flimsy and often for effect. No one is invincible. The film business is like the house of straw where everything can be blown away with one foul gust. #4 I pulled the scripts from their envelopes, and grabbed handfuls of pages, ripped them from their little pronged paper holders, and flung the over the chain link fence into the Los Angeles River. The pages blew and danced in the wind, falling along the concrete slopes where they rolled beside the brown seam of dirty water. I felt a fresh crack of energy with each handful I tossed aloft, a thrill of vindication or vengeance, or some emotion I did not quite recognize, to think of all these words that no one would ever read. All these lines no one would ever speak. All these scenes that would never see film. All that gone with the wind. As they say. #5 I was enthralled there in the rowdy company of writers who would scribble, debate, cast, pour another drink, flip the pages on their pads, and start all over again. Their talk was salty, often raucous. These men were free-wheeling story tellers, and funny as hell. Their fingers were stained blue with ink and brown with nicotine, but they proved to me, even then, and I was just a kid, that work and joy could be synonymous. #7 A darkened theatre was our favorite place on earth. We believed that theatres were a place of worship where magic washed over us, a world heightened, made brilliant with music, and with action and romance where all the sounds are crisp, and all the words are meaningful, and all the endings are happy or poignant, and you walk out bathed in emotions you didn’t have to suffer for, or struggle for, or take any risks to feel so wonderfully enhanced. A gift. In any theatre the false opulence, plush carpets, stale air, and palliative darkness combine to create a sacred space. A place of solace, hushed and holy. I recognized this same consecrated ambience the first time I walked into Notre-Dame in Paris, except that Notre-Dame did not have stale air, and the stories glowing in the stained glass windows were not nearly as exciting as the coming attractions. #8 Errant, uninspired raindrops descend, enough that women pull their mink stoles closer, and many people look up, surprised. In this vast sea of celebrity—the stars who glitter in the cinematic heavens and the producers, directors and studio heads who make their lives hell—no one believes there can be rain unless the director says, Cue the thunder. #10 And yet I had escaped being unloved, and that escape seemed to me suddenly miraculous, and I saw my life strangely, as if I had somehow survived a shipwreck that had cast others into the loveless deep. Thank you LAURA KALPAKIAN for making this giveaway possible. Winner will receive a The Great Pretenders by Laura Kalpakian.